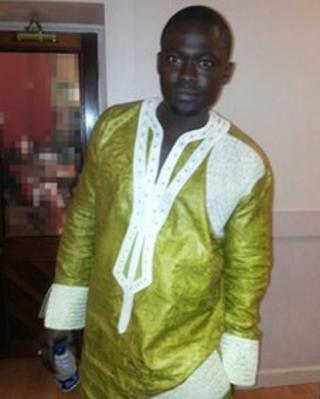 Two men have appeared in court charged with the murder of a Gambian national found dead in a flat in Edinburgh. The body of Dodou Leigh, 30, was discovered in Hawkhill Close in Leith on Tuesday. George Thomson, 29, and Roche Thomson, 24, appeared in private at Edinburgh Sheriff Court. No plea or declaration was made on their behalf and the case was continued for further inquiry. The men were remanded in custody. Lothian and Borders Police detectives are continuing their appeal for witnesses to contact them.